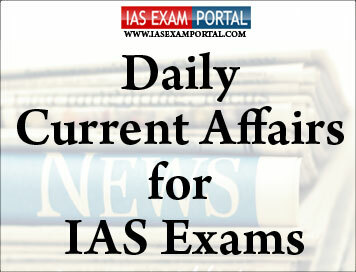 Current Affairs for IAS Exams - 11 APRIL 2019 | IAS EXAM PORTAL - India's Largest Community for UPSC Exam Aspirants. The Supreme Court, however, rubbished the government’s claim of privilege.It said neither OSA nor any other law empowers the government to stop the media from publishing the documents nor the court from examining them. The petition said Google India was doing “business as Google Pay though its unauthorised operation in India as Payment and Settlement Systems has unmonitored and unauthorised access to the personal information such as Aadhaar, PAN, transaction etc. of the public. India has built a 25-bed maternity hospital in Nepal. The hospital has been built under the Government of India's Small Development Projects Scheme. Indian Ambassador to Nepal Manjeev Singh Puri inaugurated the Chandra Narayan Yadav Memorial Maternity Hospital in Siraha district today. The Hospital will be run by the Chandra Narayan Yadav Memorial Trust on no profit-no loss basis. The new infrastructure has been constructed with the Government of India’s grant of 26.90 million Nepali Rupees. It has a minor and major OTs, ICU, CCU, rooms for doctors, nurses, store and administration and medical equipment etc. Health is one of the core areas of cooperation between India and Nepal. Several health posts, nursing campuses maternity centres, eye hospitals, naturopathy hospitals have been undertaken under the Government of India's Small Development Project scheme. “Instead of constructing a giant telescope that would collapse under its own weight, we combined many observatories,” Michael Bremer, an astronomer at the Institute for Millimetric Radio Astronomy (IRAM) in Grenoble, told .